Comprised of material recorded between 1975 and 1979, Invitation not only features Jeremy Morris’s freshman recordings, but the disc also marks the first time any of these pieces have been issued. Several years after these home tapes were laid down, Jeremy formed his own label – JAM Recordings – and since then, he has cut one album after another, which continually garner high-fives all over the world. Aside from being an ace singer, songwriter and multi-instrumentalist, the Portage, Michigan artist plays and excels at a variety of genres, encompassing radio-ready pop rock, psychedelic rock, progressive rock, instrumental rock and spiritual rock. 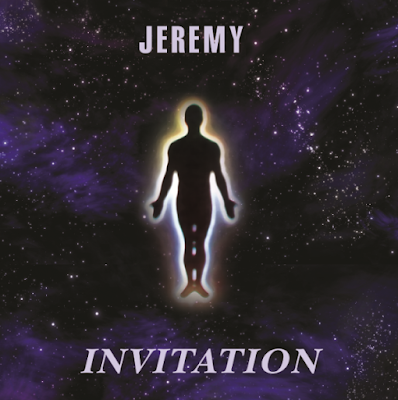 As evidenced by Invitation, Jeremy’s philosophy and approach were established even as a teen. Crystal clear vocals, marinated in the mode of John Lennon and George Harrison, permeate the premises, while the lyrics bleed with positivity. Robust melodies and imaginative arrangements further carpet the sentiments, rendering these numbers to boast both the recognizable sound and quality Jeremy is renowned for. Pronounced by the regal timbre of a grand piano soaring with beauty and grace, “Daylight” and the sophisticated shapes of “Icicles” are gripping instrumentals, where songs like “I’m With You Every Day” and “Sonlight” dispatch Jeremy’s affection and aptitude for hook-riddled pop rock. The title track of the record is a bedazzling epic, sparked by a captivating collision of pristine piano passages and heavy rock riffage. A foot-tapping country curve drives the catchy “Opener Of Eyes,” and “Angel Of The East” shifts and slides with gorgeous textures. “Foggy Nights,” “Happy Sad,” “No Problem Too Great” and “Let It Show” register as additional top-notch tunes on Invitation, but the entire collection is sure to hold your attention. Largely influenced by the latter day work of the Beatles, along with the space rock of bands such as Pink Floyd, Yes and Mahogany Rush, Invitation is so vital that you would think these are recent recordings. There’s a lot going on within the grooves, indicating Jeremy’s amazing talent early on. Ambitious yet earnest, Invitation proves Jeremy has always followed his own instincts and remained true to the kind of music that stirs his soul.